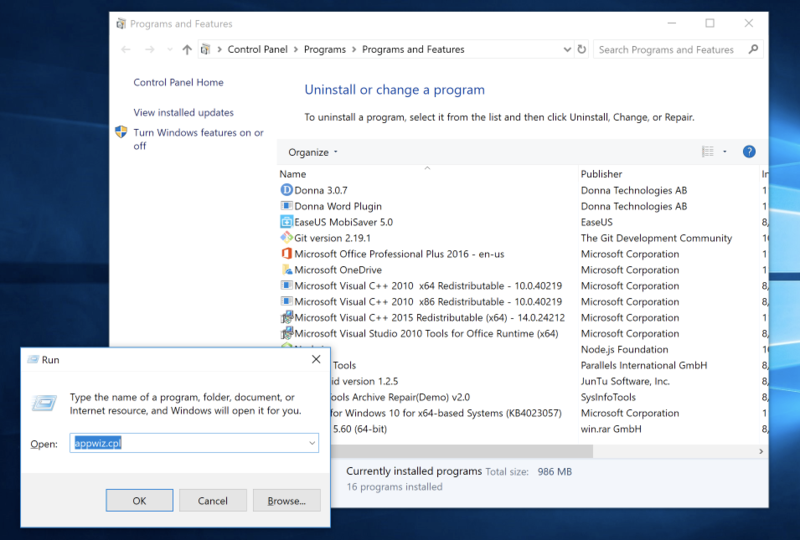 This guide will show you how to uninstall the deprecated stand-alone Donna app before migrating to the now Word Add-in. During early releases of Donna we decided to deliver the application as a stand-alone app. Meaning you would open the Donna app alongside Word, not as part of it. This has changed with our new Word Add-in which provides a much better user experience. Before adding this new...er...Add-in to Word however it is important for Alpha and Beta users of the original app to make sure they remove the old application and plugin. This helps avoid confusion as the old application did add a button looking somewhat similar as the button added by the new Add-in. Don't worry though. If you're familiar with Adding and Removing applications this will be a walk in the park. And below is a step-by-step guide to help you through the process if you have not done so before. Note: we tried to make these instructions universally applicable to any language. If you get stuck at any point feel free to open the chat in the bottom right corner and we will help you out. Locate (don't press yet) the Windows key on your keyboard, usually with an icon in the shape of a Windows flag. Press and hold down the Windows key and then press the R key and then release all keys. This should open up an application looking similar to this. In the input field type appwiz.cpl and then click OK . 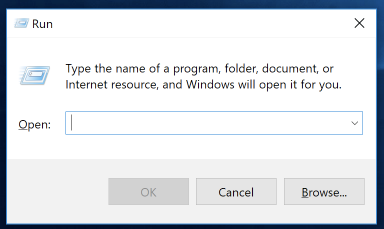 This will open the Programs and Features Window. This is where you can uninstall applications. In the list of Applications locate Donna and Donna Word Plugin. Depending on the version of the old Donna app that you had installed only one or neither may be present. If you do locate either of them just select one of them by left-clicking. And then selecting the Uninstall button that has just appeared. Congratulations, you are now ready to add the NEW Add-in to your Word. This no longer requires any application to be installed and provides a great user experience right within the Word editor. For more information on how to add the Add-in please follow this guide.